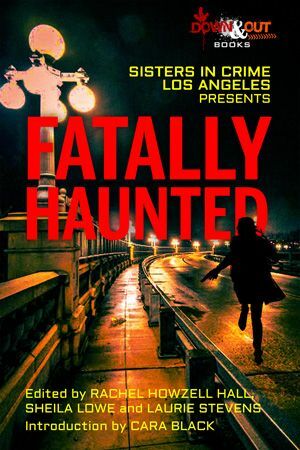 TAMPA, Fla. - Jan. 16, 2019 - PRLog -- Down & Out Books is pleased to announce that FATALLY HAUNTED, a Sisters in Crime Los Angeles Presents anthology edited by Rachel Howzell Hall, Sheila Lowe, and Laurie Stevens with an introduction by Cara Black will be published on April 29, 2019 in trade paperback and ebook formats. Includes original stories by Julie G. Beers, Julia Bricklin, Roger Cannon, Tony Chiarchiaro, Lisa Ciarfella, Cyndra Gernet, B. J. Graf, Mark Hague, A. P. Jamison, Micheal Kelly, Alison McMahan, Peter Sexton, Gobind Tanaka, and Jennifer Younger. Rachel Howzell Hall is a New York Times bestselling author of seven novels, including The Good Sister, co-written with James Patterson, and the critically-acclaimed Detective Elouise Norton series. A featured writer on NPR's Crime in the City series and the National Endowment for the Arts weekly podcast, Rachel has also served as a mentor in AWP's Writer to Writer Program and is currently on the board of directors of the Mystery Writers of America. She lives in Los Angeles with her husband and daughter. Like her fictional character Claudia Rose, Sheila Lowe is a real-life forensic handwriting expert who testifies in court cases. The mother of a tattoo artist and a former rock star, she lives in Ventura with Lexie the Evil Cat, where she writes the award-winning Forensic Handwriting series. Sheila has also published a series of non-fiction works about handwriting and personality. Laurie Stevens is the author of the Gabriel McRay psychological thrillers. The books in the series has won multiple awards. Laurie is a "hybrid" author, both self-published and traditionally published. She is an active member of MWA, ITW, and a former board member of Sisters in Crime Los Angeles. In its ninth year as an independent publisher of award-winning literary and crime fiction, Down & Out Books (https://downandoutbooks.com) is based in Tampa, Florida. For more information about the book, to request a review copy of the book, or to inquire about an interview with the editors, contact info@downandoutbooks.com.